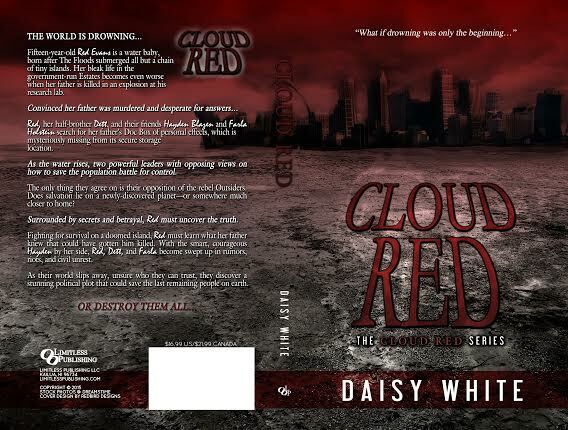 CLOUD RED by Daisy White is available for purchase!! Fifteen-year-old Red Evans is a water baby, born after The Floods submerged all but a chain of tiny islands. Her bleak life in the government-run Estates becomes even worse when her father is killed in an explosion at his research lab. Red, her half-brother Dett, and their friends Hayden Blazen and Farla Holstein search for her father’s Doc Box of personal effects, which is mysteriously missing from its secure storage location. As the water rises, two powerful leaders with opposing views on how to save the population battle for control. The only thing they agree on is their opposition of the rebel Outsiders. Does salvation lie on a newly-discovered planet—or somewhere much closer to home? Surrounded by secrets and betrayal, Red must uncover the truth. Fighting for survival on a doomed island, Red must learn what her father knew that could have gotten him killed. With the smart, courageous Hayden by her side, Red, Dett, and Farla become swept up in rumors, riots, and civil unrest. As their world slips away, unsure who they can trust, they discover a stunning political plot that could save the last remaining people on earth. Daisy White is an author, mum, vintage lover, and award-winning literary entrepreneur. As the founder and owner of Daisy White’s Booktique (a pop up independent bookshop with a twist!) 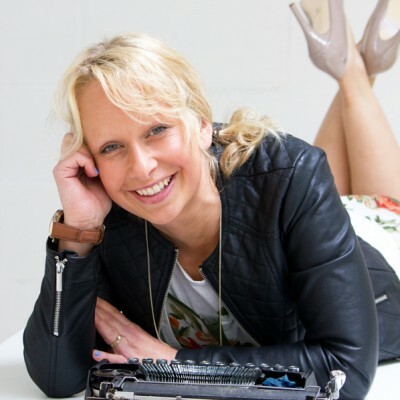 she has won business awards, been to speak at Number 10, Downing Street, and continues to support both authors and readers in their creative journeys. 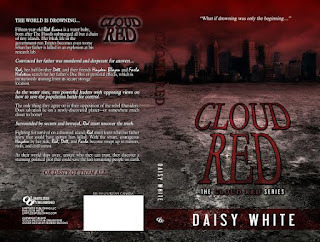 Her writing reflects her years spent travelling, and Daisy is delighted to sign her Cloud Red series to Limitless Publishing. She has four other YA books published, including fantasy trilogy Taming Tigers, and is currently working hard on the next two books in the Cloud Red series. Born in the UK, Daisy spent time as child living in Wichita, Kansas, and has fond memories of attending school there (the library was huge!). She now lives in Brighton, on the South coast of England with her husband and two children, but still returns regularly to visit the USA. In her spare time Daisy competes in ‘mud races’ for charity. These include Hellrunner, Kamikaze, and Downland Devil and if there is a frozen lake to be swum that is just perfect! With her children, Daisy also enjoys browsing the lanes of Brighton for vintage hats and china and taking long family bike rides along the beach. 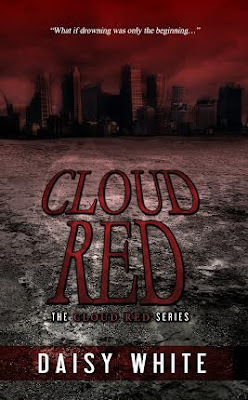 ‘Cloud Red’ is her YA debut Limitless Publishing.